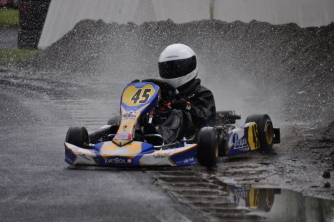 Roy Shaw races karts in his home country, Switzerland, and throughout Europe and the UK. 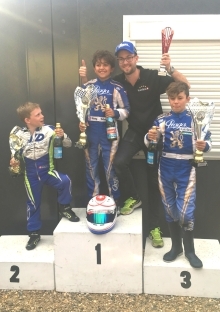 Roy competes in the Super-Mini (X30 mini) class for 8 to12 year old drivers. 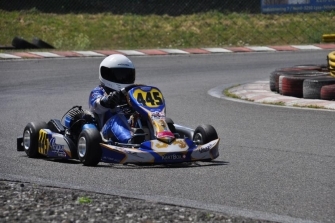 His kart has a Praga Monster Evo chassis, is powered by a 10bhp IAME 60cc race engine and is capable of 100km/h. 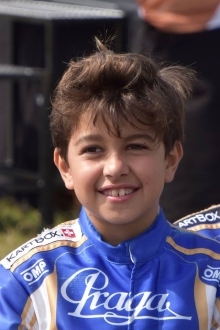 At age 10, Roy had already won races at the prestigious Buckmore Park (UK) circuit, and also at Lyss and Levier (F) and achieved pole postion in the 2018 Swiss Championship at Wohlen. He won the 2018 Kappelen Trophy series, and the 2018 Vega Trofeo championship. Roy first drove a kart at age 6 in Bambino Club at Buckmore Park. His ambition is to become a professional racing driver, and to be in a position to target motor racing's Triple Crown.